If you’re in the market for your next vehicle, you may be considering changing things up a bit by getting a different body type than what you’re used to. Those who’ve driven a car or a truck their whole lives may not know what they’re missing without having an SUV. For those customers who are thinking about changing up the type of car they are driving, we encourage you to consider coming to Pfaff BMW and checking out our selection of quality SUVs in Mississauga. In this article by Pfaff BMW, we will talk about the all-new 2018 BMW X1 xDrive28i. Begin your search for BMW SUVs here. The BMW X1 interprets the characteristic appearance of an SAV in a manner which is versatile and dynamic in equal measure. Whether in an urban setting or off-road, its powerfully defined silhouette with a long wheelbase and short overhangs cuts an impressive figure. It combines an athletic design with compact exterior dimensions, without compromising on flexibility or on the generous amount of space in both rows of seats. The combination of high-quality materials and matching integrated accents skilfully rounds off the BMW X1 look. Quality SUVs in Mississauga like this one are available at our Pfaff BMW dealership. The perfect companion for your expedition into the unknown: The interior of the BMW X1 treats its passengers to an elevated seating position for the best possible view, enjoyed from surroundings with high-quality materials. In combination with its intuitive handling and the variable use of space, the BMW X1 is the ideal partner for all of your future plans. 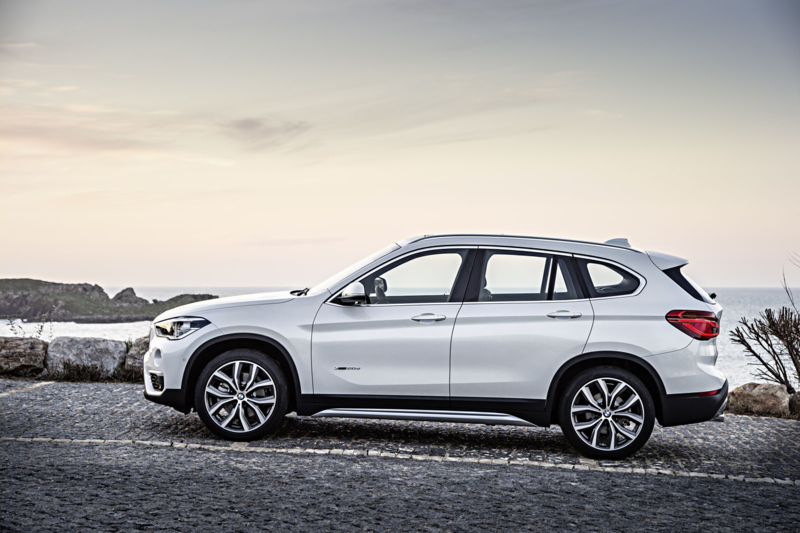 The BMW X1 impresses in everyday urban life with its compact exterior dimensions. Concealed behind them is far more than you might possibly imagine. Due to the high roof line, its typical SAV body shape makes the interior feel especially spacious and inviting. Another factor for this roomy feeling is the extremely clear view from the elevated seating position and the large window surfaces all round. Yet this impression of the BMW X1 is not purely subjective: 56 cm of leg room in the rear offer a comfortable seat on long journeys even for tall passengers. The new TwinPower Turbo engine in the X1 delivers a robust 228HP and 258 lb-ft of torque while also substantially reducing fuel consumption. This gives you instantaneous pulling power, capable of 0 to 100 km/h in only 6.3 seconds, with reduced emissions. The BMW X1 is in its element everywhere, inspiring with its precise handling, whether on-road or off-road. This is made possible by a range of perfectly coordinated components. The basis for this comes from the near-optimum weight distribution of 57:43 (front/rear) on the two axles. The optional intelligent all-wheel drive system BMW xDrive delivers the power of the BMW X1 precisely to the wheel where it is needed – regardless of the road surface. For more information about SUVs in Mississauga at Pfaff BMW, please feel free to continue browsing through our website. Click here to find our contact information, schedule a test drive in the 2018 BMW X1, or to fill out our contact form.